I may have a slight obsession for Queen Elizabeth I. I think she was amazing and a midern woman for her time refusing to hand over the thrown to a husband and child. The clothing of the period was pretty amazing and I just can't get enough of the ruff collars! Her favorite dress colours were white and black which symbolized purity. Wigs were in fashion and Elizabeth made good use of them. 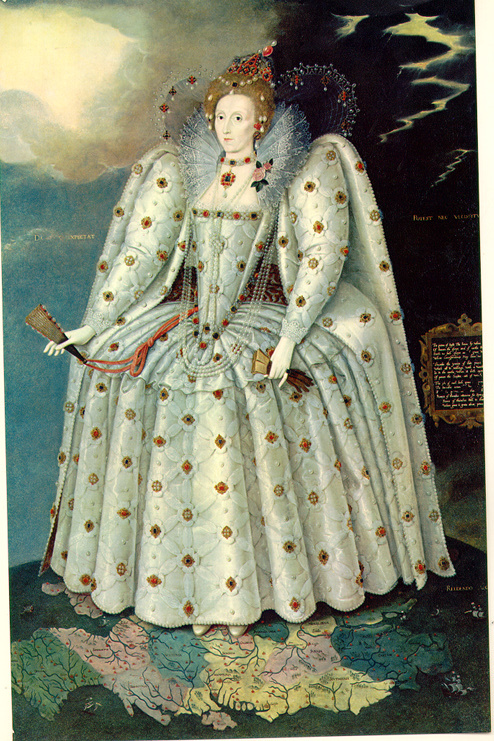 Elizabeth I reigned between 1558 and 1603. Elizabeth I never married, although she had a number of suitors, and thought of herself as married to her country and the mother of her subjects.